On May 17, 2018, our team partnered the Mayor’s Office for People with Disabilities hosted the City's first Digital Inclusion and Accessibility Conference. The event is aimed at empowering City workers to create digital experiences that is accessible and reflective of New Yorkers' experiences, cultures, communities and needs. Our programming focused on digital accessibility for people with disability, people with lower tech and English proficiency, and respectful representation representation related to disability, economic standing, gender identity, and race. To showcase best practices in accessible event, we chose a space that's wheelchair accessible, sent out a pre-event survey to accommodate needs, and provided CART (Communication Access Realtime Translation) and ASL (American Sign Language) services. 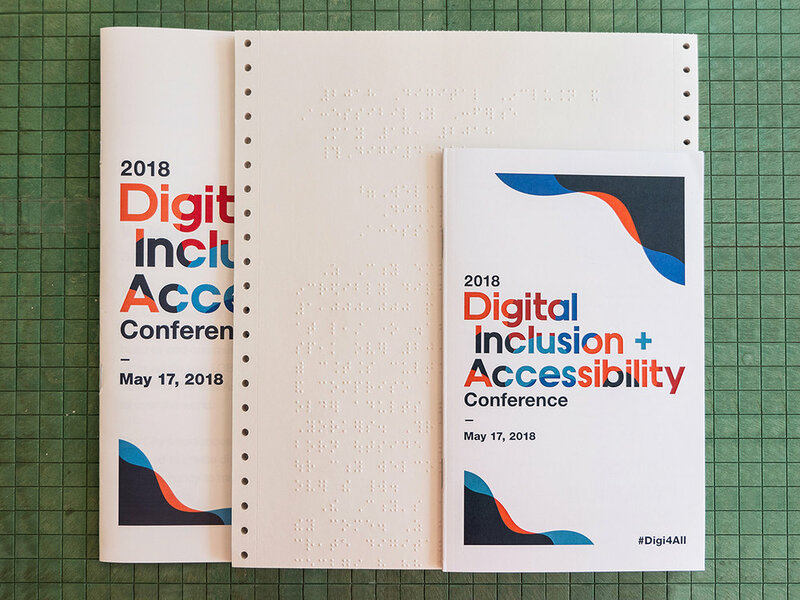 We created accessible print and digital versions of all materials, as well as providing accessible presentation and design guidelines to all presenters. Using the distributed organizing model, the conference was made possible by a group of 18 volunteers from 11 City agencies. For the conference Accessibility Toolkits on web design, documents and presentations, social media and video, and inclusive language and terminology, please visit the conference website.